All women are unique and beautiful in their own way, but there are some who surpass the rest in their qualities. These are the kinds of women than we see being featured in television shows for winning themselves a place in the Guinness book of world records. This post is dedicated to all the extraordinary women who have surpassed all other women in the world due to their own brilliant, unique and sometimes shocking qualities. Scroll on to check out 10 photos of women who hold a place in the Guinness book of world records. 27-year-old Pixee Fox from Sweden spent around $250 on transforming herself into Roger Rabbit's wife.She experienced several plastic medical procedures which included breast enlargement and above all Pixee had 6 lower ribs removed to make her waist as thin as possible about 16inches.Later she went through an eye implant now her eyes are green instead of their original blue color. The Polish athlete Aneta Florczyk is one of the most strongest women in the world. And she definitely owns it . she can lift more than 1,100 lb.But she is known for her Guinness record in a slightly different and funnier manner she is the female record holder at lifting people but in a different way.Her record is 12 lifted and thrown adult men within 2 minutes. The most spry woman in the world, Zlata (her real name is Julia Gunthel), is famous for how ductile she is. The girl holds a record of a very unusual achievement – Julia managed to pop 3 balloons within 12 seconds just by bending her neck. But the most fascinating thing is that the girl was born like this her tendons are unbelievably flexible. 4 Woman with the most tattoos. Julia Gnuse from the US had a nickname "The Illustrated Lady". She became famous because 95% of her skin is covered with tattoos. It can be seen the girl took her experiment to the next level but in this case things were different as after the age of 30, she had porphyria — an illness where the sunlight causes blisters and scars on the skin. She started getting tattoos to cover them. The 92-year-old retired woman from Germany, Johanna Quaas, made it to Guinness Book of Records as the oldest female gymnast. At this age, she doesn't just do the odrinary program on the mat but she also performs very difficult elements and gymnast skills on parallel bars. Last year, Johanna set a fresh record when she performed on bars in a tournament in Berlin. She amazed the viewers she set an example So we can conclude that we should never make age an excuse. 6 Running a marathon on heels. In the US, erstwhile dancer Irene Sewell set a world record after she ran a marathon wearing high heels. The girl ran 43 km in 7 hours and 28 minutes which made her place on the pages of The Guinness Book of Records. 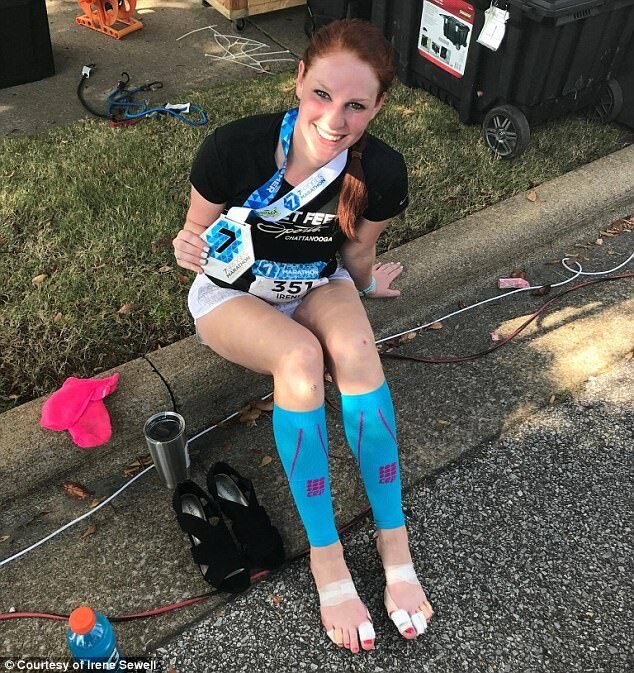 Sewell ran the marathon on 2.9-in heels and she was quick enough to finish it 2 minutes earlier than previous record holder.Finishing a marathon in itself is a grinding task making a record while wearing heels is just extraordinary ! 7 Woman with the shortest height. A young Indian woman, Jyoti Amge, is in The Guinness Book of Records and she holds the record of shortest woman in the world. When she was 18 years old, she was only 24.7 inches tall and her weight was 11.2 lb. The reason why Jyoti is so short is due to the biological genetic condition called achondroplasia. Achondroplasia is a hereditary condition in which the growth of long bones by ossification of cartilage is retarded, resulting in very short limbs and sometimes a face which is small in relation to the skull. 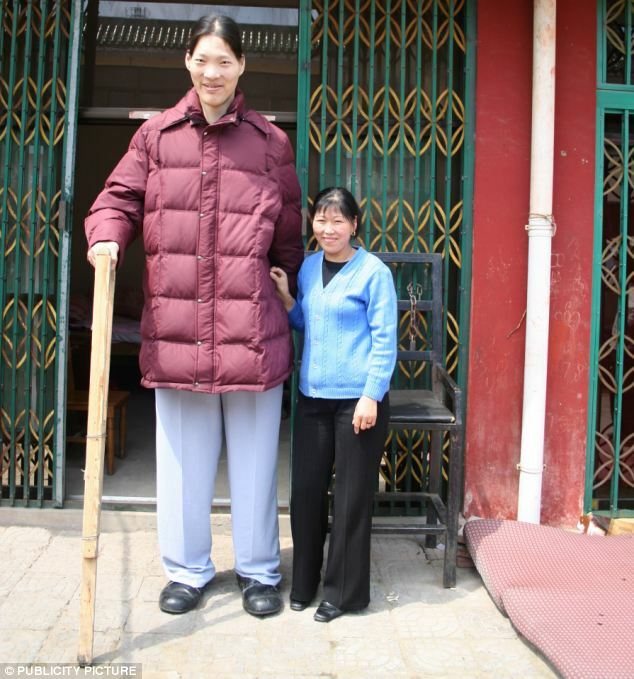 Born in 1972, Yao developed gigantism due to a tumor on her pituitary gland. By the age of 15, she stood at over two meters tall. Nobel Peace Prize. On 10 October 2014, Yousafzai was announced as the co-recipient of the 2014 Nobel Peace Prize for her struggle against the suppression of children and young people and for the right of all children to education. Having received the prize at the age of 17, Yousafzai is the youngest Nobel laureate.